The laser light/beam is absorbed by the melanin pigment in the hair follicle and converted to heat. As a result the heat injures the hair follicle preventing its ability to produce hair. Can I return to work or normal activities immediately? Yes, you can return to work and normal activities immediately. After laser hair removal, the treated site may feel like mild sunburn for 24 hours or more. Slight redness and swelling surrounding the hair follicles is normal and is actually an indicator of a good clinical response. Although irritating preparations such as glycolic acid and retinoids should be avoided, make-up can be applied to the treated area shortly after treatment. Depending on the area to be treated, laser hair removal can take only a few minutes or up to two hour for a full body laser hair removal in Houston treatment. The most commonly treated areas, bikini Brazilian, upper lip, chin, underarms, full legs and full back. Laser hair removal is a very tolerable procedure. The procedure is often likened to a rubber band snap. If you are super sensitive, you may want to use a topical anesthetic or numbing gel. Unlike shaving, waxing or tweezing, laser hair removal provides a long-term solution and permanent hair removal. Laser hair removal is fast and effective. Where electrolysis treats a single hair at a time, laser hair removal can cover large areas rapidly. Laser hair removal is cost effective and can eliminate the need for constant shaving. Yes, laser hair removal is absolutely safe and effective. Laser hair removal is an FDA approved procedure and performed by certified individuals. The equipment we use for laser hair removal in Houston is an FDA approved device manufactured by laser hair removal industry leader Candela Corporation. Can I schedule a same day appointment? We are happy to schedule you for a FREE consultation and/or treatments the same day for your convenience. Please call us at (832) 831-7004 or email us at contact@renovalaser.com today. Several factors including an individual’s genetics, hair color, hormonal levels, and skin related factors can determine the number of treatments required to achieve the best laser hair removal results. Ordinarily 4-6 sessions are needed to get rid of unwanted hair on a permanent basis. We also include our Lifetime Guarantee on all laser hair removal packages provided to our clients through our clinics. 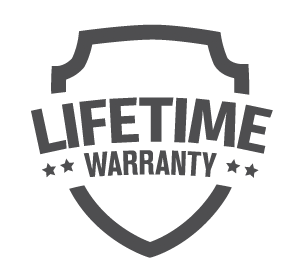 The Renova Laser Lifetime Guarantee will safeguard your investment. The answer to this depends on the type of hair and type of skin of each of our clients. Depending on the hair and skin type we may choose to use either Alexandrite or Nd:YAG platforms; both of which are considered the very best in the industry and manufactured by the industry leader Candela Corp.
At Renova laser & MedSpa we offer laser hair removal lifetime warranty to not only ensure the quality but to protect your investment.